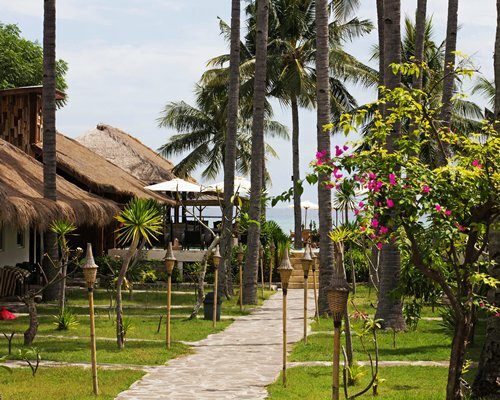 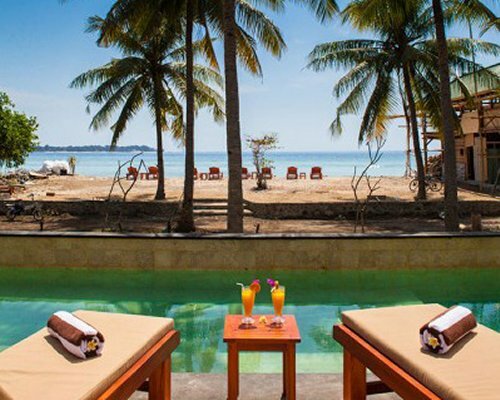 At the Grand Sunset Gili Air, paradise and luxury is within reach. 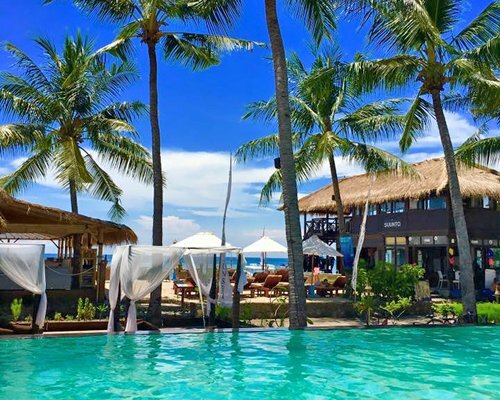 Situated on Gili Air, a small island on the northwestern shores of Lombok, Indonesia, and quick boat ride away from Bali, the Grand Sunset is an oceanfront resort where azure waters and curving coastlines of white sand beaches intertwine with contemporary design and architecture, including modern conveniences. 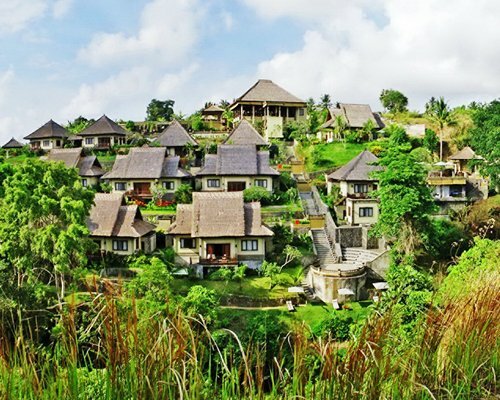 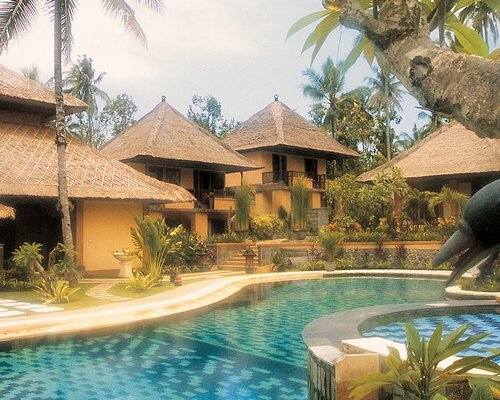 Guests also have a great view of the Bali Sea and the breathtaking Mount Agung, Bali’s largest volcano! 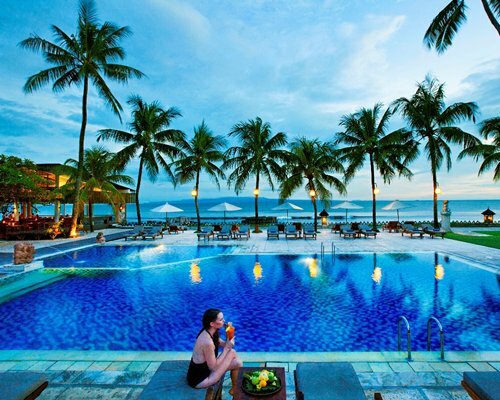 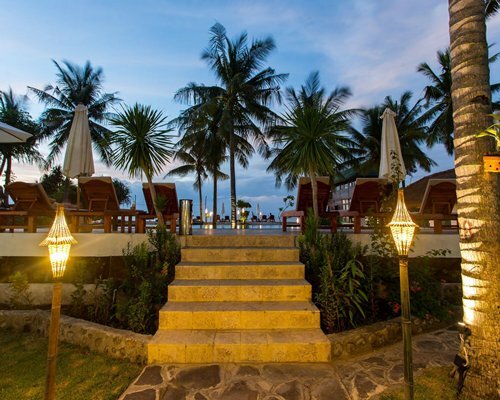 There’s a restaurant, beach club and full-service bar on site with a gourmet mix of traditional Indonesian cuisine and western delights. 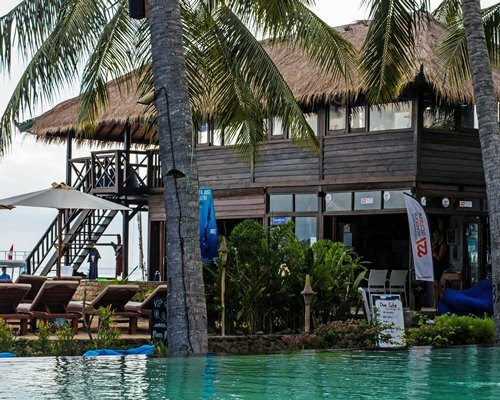 In addition, guests can enjoy the pool along with the scuba and dive center with daily snorkeling trips right from the resort. 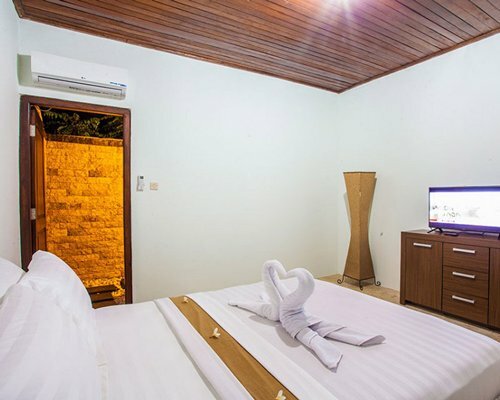 Our hotel rooms have elegant, chipped marble walls and smooth marble floors that help create a cool environment indoors. 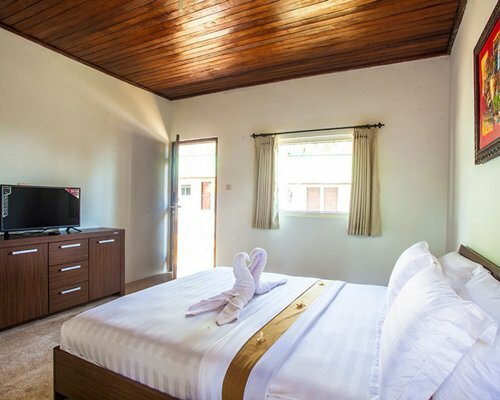 All accommodations have fully functioning air conditioning systems for added comfort; keycard locks and safes for improved security and sound-proof PVC windows for a peaceful slumber. 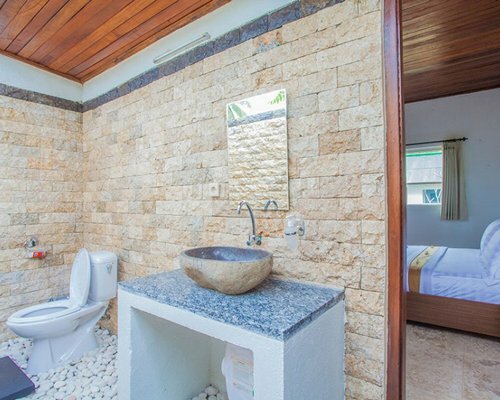 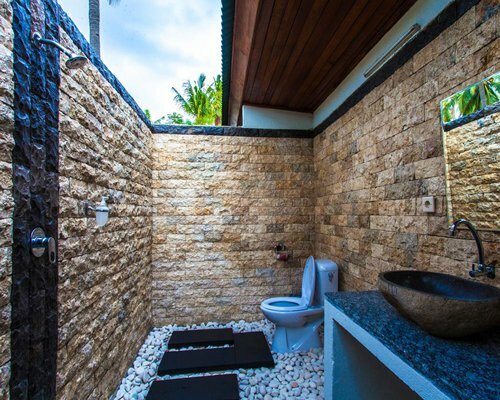 In addition, the open-air bathrooms make for a majestic spa-like experience. 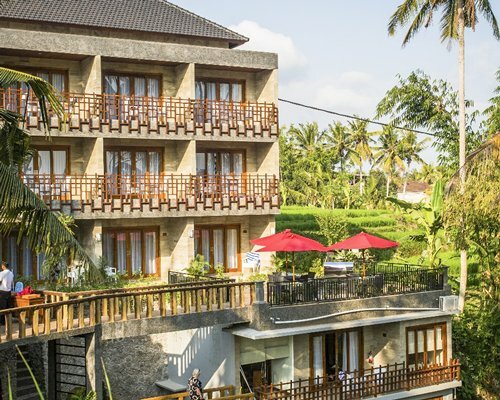 Guests are treated like royalty, sleeping on queen size beds with pillow top mattresses covered with 500 thread count sheets for the ultimate comfort after an eventful day on the island.Each unit has a partial scenic view of the Bali Sea, as well as a relaxing pool view. 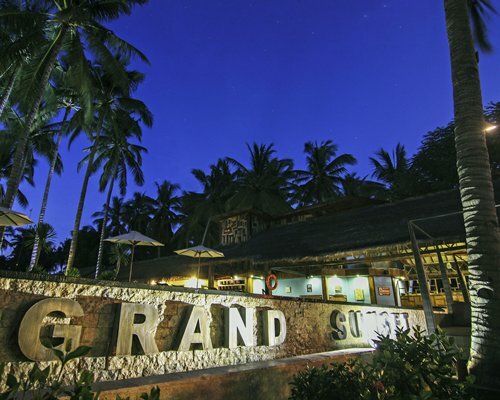 Unlike other island resorts, connectivity is never a problem at The Grand Sunset, as guests have access to fast, in-room WiFi.